When you claim through your insurer, you are bound by the terms and conditions of the contract you have entered into. There are a few exceptions to this, but we will not get into them here. The contract of insurance is there to INDEMNIFY YOU , this means you should be put back into the same material position you were in prior to the loss occurring. You should be in a no better or worse situation. Dealing with your vehicle as a total loss. It is VERY VERY important you read the contract of insurance and the terms and conditions of that contract prior to making a claim. You might find clauses you were not aware of, for example, a lower level of glass cover for your windscreen should you have it replaced somewhere other than the insurer’s choice of supplier.This can very important on new cars where ADAS (advanced driver assistance systems)are fitted. Or the insurer may try to add an additional excess should you wish to have your car repaired at your own choice of repairer. You can have your repaired WHERE EVER YOU wish, but insurers try to restrict this. ( there are ways around this, but again we will cover that in another piece). If the accident is NOT your fault, you WILL have more entitlement than what you would claiming through your own insurer. Though your insurer is legally bound under the Financial Service and Markets Act 2000 under a section in the Financial Conduct Authorities regulations that it cannot act in conflict to your interest. This is covered under a section of the regulations called ICOBS (INSURANCE CONDUCT OF BUSINESS STANDARDS). I dealt with a recent case on a Aircooled Porsche 911 , this car has dramatically gone up in value over the last five years. The customer had the car on a “AGREED MARKET VALUATION POLICY” as it was a classic. ( This means the car is insured for a pre-agreed sum) Unfortunately the car was going up in value that quickly,that the value had jumped from £40-60 thousand pound in a year, and he had insured for £40 k. This customer had an accident that was NOT his fault, and he had the entitlement to claim off the at fault party directly. His broker advised him to claim through his own insurer, but was then extremely upset to only get £40k when he knew it was worth £60k. He complained to the Financial Ombudsman , who found against him. They were happy his insurer had obliged their obligations by paying out the agreed market value. Had he of claimed via a claims management company, a solicitor or directly through the at fault insurer, he could have successfully have claimed the £60k. Make sure you carry out your own research, and take advice from more than one reputable qualified source. The insurer generally act’s quicker, and pay’s out faster. 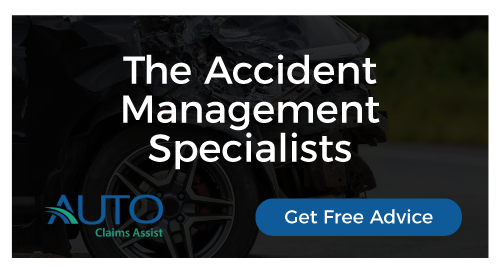 This is important if you have an accident with someone else and liability is in dispute.They can sort the liability issues later whilst ensuring your vehicle is either repaired, or you are compensated for it’s market value.The insurer SHOULD be advising that they WILL repair your vehicle UPTO the market value. You can force them to do this. You do have the right to use your own repairer, do not let the insurer tell you other wise. You have paid for the cover, so you may as well use it? It SHOULD be relatively hassle free,if you do what they want you to do, it will be.But that may not be what you want. They may also provide longer guarantees on repair at their approved repairer. Unless you really need too, we would have this as the last alternative. If you have no one else to claim from, use your insurer. If the accident is NOT your fault, you have a lot more entitlement than what you may get from your insurer. Your insurer will charge you your excess if you have agreed to one.They may charge and INCREASED EXCESS if you want to use your own choice of repairer. Your insurer MAY wish to use SECOND HAND parts or NON ORIGINAL Equipment parts on your vehicle.By doing this, and if you do not use your own repairer, you may also invalidate the manufacturer’s warranty. When you do have your car repaired by the insurer’s repairer, it is the repairer NOT the insurer that guarantee’s the repair. A lifetime guarantee ,or ten year guarantee then becomes useless if the repairer is no longer there. Your insurer MAY wish to constructively total loss your vehicle at a very low repair cost. This is due to the salvage contracts they have negotiated. Ie a 4k car has repairs at 3k, but the insurer can sell the salvage for 1.5 k, the insurer’s outlay would then be 2.5 k due to the return on the salvage. The contract advises that insurer is liable to pay upto the 4k though, so make sure you insist the car is repaired up to it’s market value if that is what you wish. It will affect your claim’s history and your no claims bonus, and your future premiums, even if you have protected no claims. This is the last CON, and it is a big one, you may find that the insurer DOES NOT have your interest at heart, and put’s it’s commercial interest in front of yours.